Replacement Windows or DIY Touch Ups? Replacement Windows, while beneficial, pose a not-so-beneficial issue – monetary investment. While true, the long-term is much more beneficial than the short-term. These new windows allow you to update your home and keep you cool, calm and collective this summer and all the other seasons of the year. It all begins with leaks. We tend to think of leaks being an issue solely related to cold weather. While partially true, the humid, summer heat creeps through those cracks and leaks just the same. This is why Window Replacements of Georgia is confident in saying how important it is to have your windows replaced, but there are of course precautions to take before having your windows replaced. Here are a few to consider. Exterior Shading like awnings, canopies, etc. Each of the listed do differ, but all have the same effect – saving energy. Those small steps can help save you money in more ways than one. But will Replacement Windows really save me energy? Of course, older windows are not helping your home in any way. That’s why energy efficient windows make all the difference in your home’s energy savings. “Having ENERGY STAR qualified windows lowers energy bills and saves you money over single-pane and even new double-pane, clear-glass windows.” Homes with ENERGY savings stickers placed on them help homes save $126–$465 a year when replacing single-pane windows and $27–$111 a year over double-pane, clear glass Replacement Windows. Though some argue the initial investment could outweigh the savings, we’re about to show you some other key benefits of Replacement Windows. What Other Benefits Do Replacement Windows Offer? Energy savings is the focal point here, but what else is there to benefit from when installing new windows? Replacing your windows provides your home with more benefits than drawbacks. Let’s take a look at some of those. Maintenance Made Simple – There is of course Replacement Windows installation. After that process has been completed, your personal maintenance becomes much simpler. More so than keeping up with older window repairs. New windows can be easier to clean. Plus, there are a multitude of options when selecting your windows; things like between-the-glass blinds. That in turn means less allergens and dust throughout the room. Noise Reducer – Whether you live in a noisy neighborhood or have a noisy family, windows can help with that issue. Removing old, worn down windows removes any leaks and those thinner glass barriers. Home Value – Occasionally, Replacement Windows are involved in the reselling process of a home. Maybe that is a plan for down the road. Either way, installing new windows helps return your investment by about 78%. That alone should be a rewarding benefit in the short and long term. Curb Appeal – Tying into your home’s value would be curb appeal. Homes aren’t complete without clean, functional windows. Installing new windows not only provides the previously mentioned benefits, but also the home’s curb appeal. 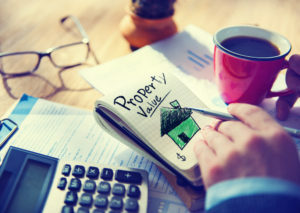 That in turn could mean higher home value. Plus, it makes you feel better about looking out new windows rather than stained, old windows. 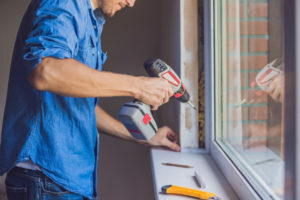 Of course Replacements Windows make a difference in your energy savings, but what else can you do to save during the summer? Thermostat – Keeping Your Thermostat at 75 degrees Fahrenheit or higher and 85 degrees when no one is home is one of the easiest ways to save during the summer. It can help reduce costs by 10%. Plus, it puts less strain on your air conditioning unit(s) when you’re away. Stand By Power – When it’s a hot one out there, we tend to stay indoors. That means an increase in energy due to all of the electronics being used. That’s why it’s important to have a switch that can turn off or place certain electronics on standby. This alone can help save $50 to $100 a year per device. Lightbulbs – Placing the right bulbs in your light fixtures helps make a huge difference during the summer. Removing incandescent lights and replacing them with standard compact fluorescent lights can help save up to 75% more on your lighting costs. Clothes Line – That term, sadly, does not have as much importance in our day and age. However, the summer heat could dry your clothes even more efficiently than your drier. Plus, that’ll save you a good majority each month on not having to use the dryer. Window Replacements of Georgia is focused on offering the best energy saving Replacement Windows that match your home’s individual style and budget.Contact Us Now or give us a phone call (404) 620-6445. 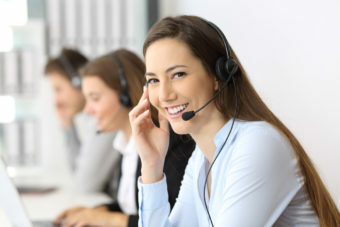 Our customer service agent will send out an in-home installer to assess your particular energy saving window needs. The installer will explain in detail your project and provide you with an estimate of a variety of options that will match your goals for style and budget.